I’m making huge strides and I’m loving it! 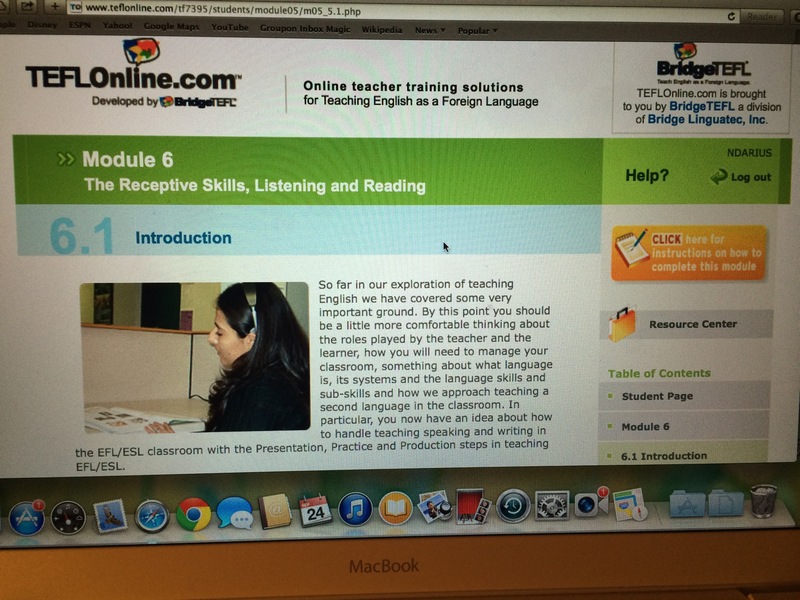 While I’m waiting on approval for my surgery, I’ve been focusing my attention in my TEFL certification course. 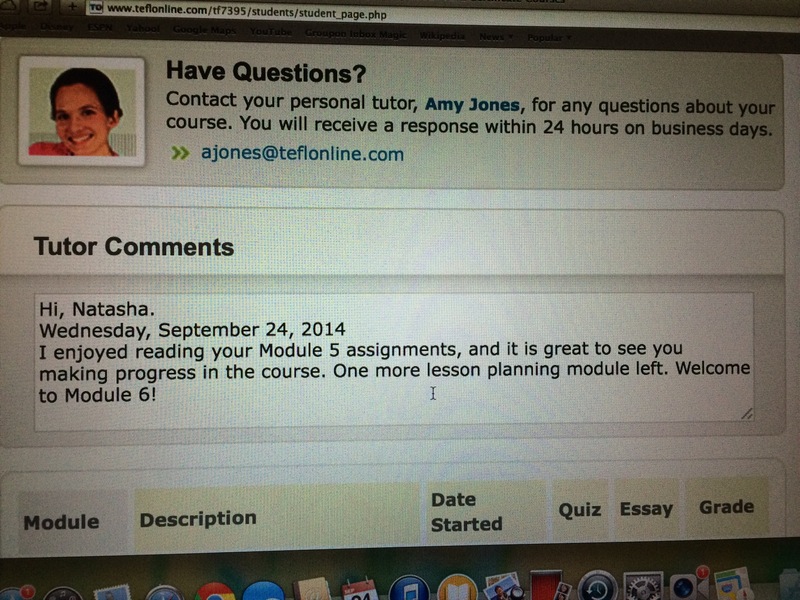 My tutor, Amy, has been such a huge help to me with her feedback. AND I’m doing VERY well! Now I’m starting Module 6 today. I have 6 more modules to go! I’m so excited. The more I keep going, even with a little anxiety along the way, I’m confident that I’m going to do well as an ESL teacher.